Do you have a chowhound when it comes to mealtime? 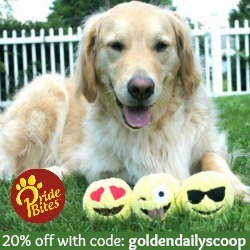 The Goldens will scoff down their food faster than I can pour it in their bowls. Well that has all changed thanks to the PAW5 Rock 'N Bowl. Dogs are wired to hunt and forage for their food. They need to "work" for their food by using their brains to creatively problem solve to get their meal. 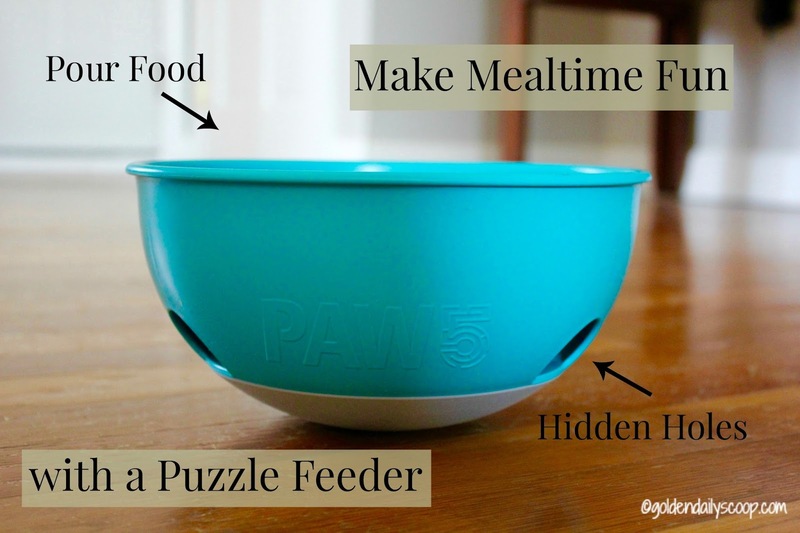 The PAW5 Rock 'N Bowl is a unique puzzle feeder that encourages your dog to think and problem solve all while having fun. The Rock 'N Bowl design is backed by research to ensure it engages all five of your dog's senses, filling their day with more challenging and fulfilling experiences. I loved watching her maneuver the bowl around to get her food. Instead of a 30 second chow down, Miley "worked" for her food and had a ton of fun while doing it! "Backed by Research. Grounded in Sustainability." PAW5 is committed to sustainability by using a manufacturing process that results in almost zero waste. 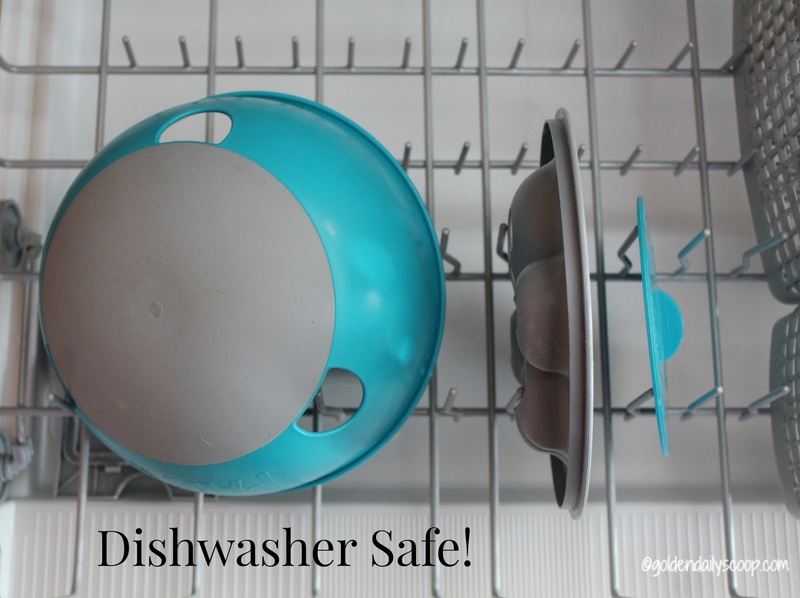 Although Miley would much rather lick her bowl clean, we are happy to say that the Rock 'N Bowl is dishwasher safe! 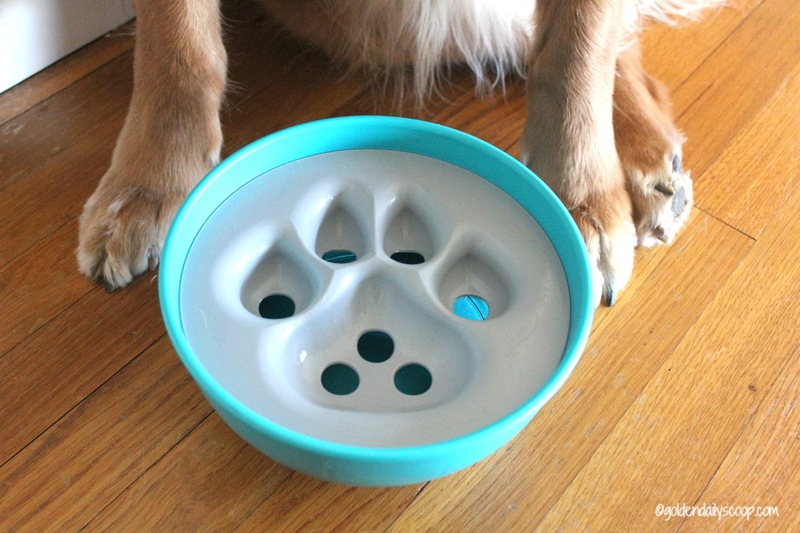 Visit PAW5 to purchase your Rock 'N Bowl and make mealtime fun for your dog! 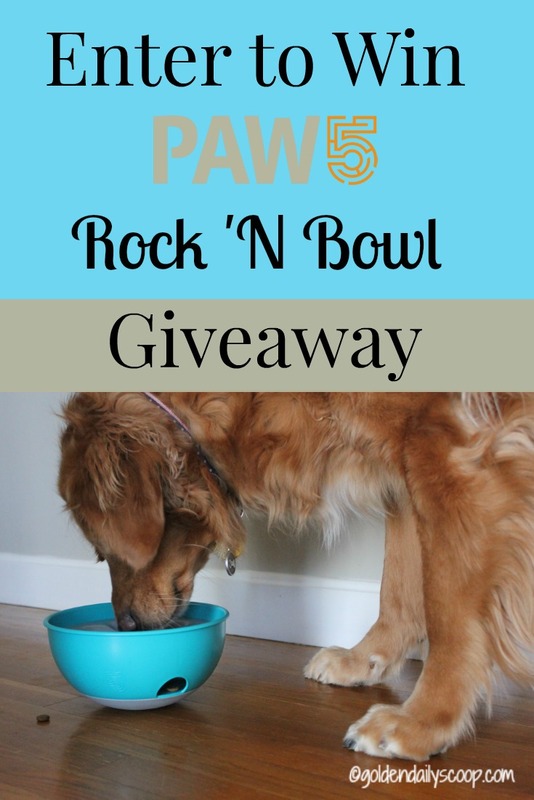 Enter the Rafflecopter below to win a Rock 'N Bowl! Open to US Residents, 18+ Ends 2/11. Disclosure: PAW5 sent us the Rock 'N Bowl for review purposes. We were not compensated for this review and all opinions expressed are our own. PAW5 is not responsible for the content of this post. 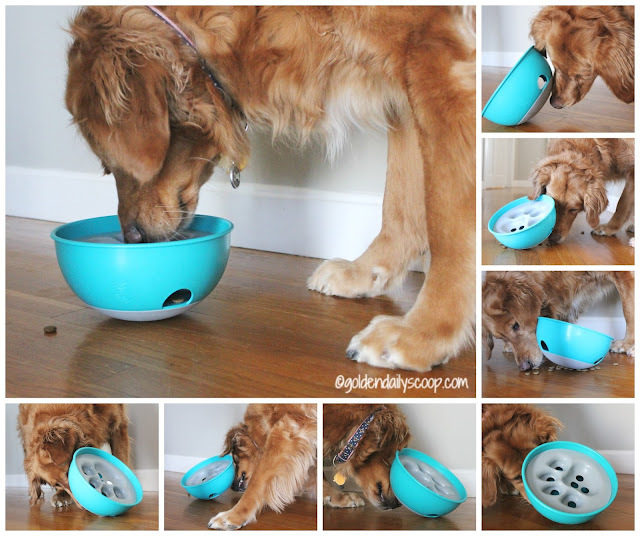 Although my dog is actually a nibbler rather than a gorger, I love this idea for a bowl. 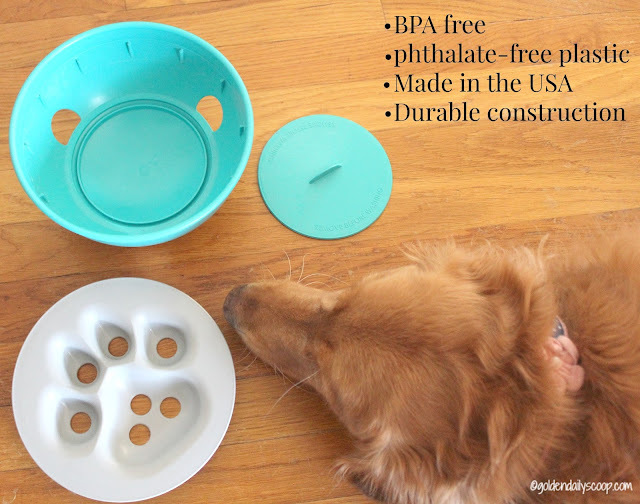 One of my now angel pups would have really benefited from this bowl, and some of the kitties I know sure would, too! Thanks for sharing! This is just what my best friend's dog needs! He has a slow feeder and still finishes it off in record time. Yes, we have 2 chowhounds! I'd love to try this bowl with Penny! Absolutely. Both of them are speed-eaters. What a great bowl! And I like the looks of it too. I wish we could enter the contest from Canada. well that is a cool bowl, none of us are gobblers at our house. Oh wow, this is a great puzzle feeder! I can see Miley was enjoying the activity, excellent photos of how she utilizes it. Nice way to make dinner longer! Mr. N eats pretty fast (he does chew though) but he eats raw so most puzzle toys are out for dinner. What a great product! I wonder if they make it for cats. Ruby, our dog, eats slowly, but our cat Rosie eats WAY TOO FAST and often gets sick as a result. This would be soo much fun! 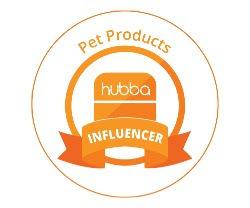 And yes our pups love their kibbles! This looks really fun! My pup loves his dinner! Great review! I love this bowl - really helps Nola from gulping so much. My dog is a gulper and he can eat in seconds. I have four rescued Treeing Walker Coonhounds. Three of them are fine with food - I can even keep food out for them all day and they will only eat when hungry. The fourth one, however - my Kyoko - was nearly starved before being dumped at the shelter I adopted her from and even though she's now downright chubby, she would eat every piece of kibble in our house if I let her. I have tried a slo-feeder bowl and it helped, somewhat, but I think this would be a real help. That would be perfect for kibble! 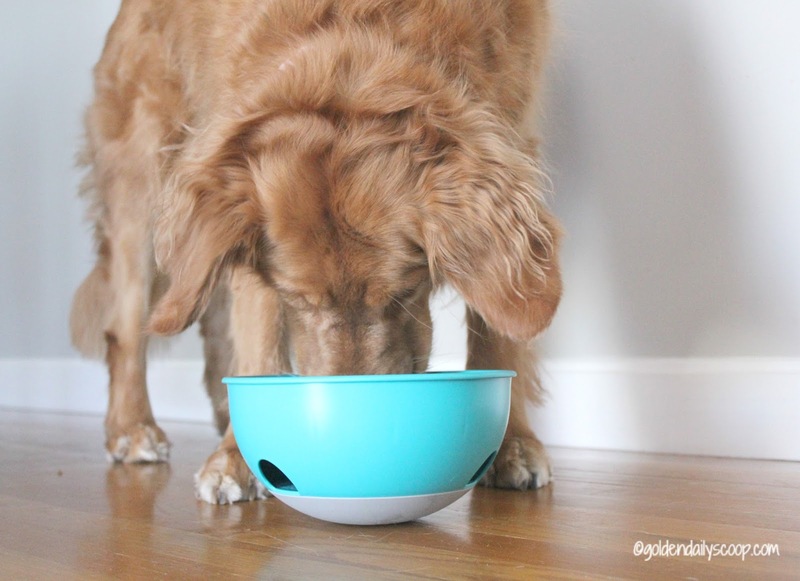 I think that this bowl would be great even for treats - regardless of how fast or slow a dog eats! A little working for nibbles is a good thing! Great review!! Two of my dogs use a puzzle feeder every day because otherwise they would practically inhale their food. This looks like a great one and is unlike any I've seen before. That looks like a great bowl. We use those treat toys all the time. Great diversions. Dexter loves his brain games and I love this for a variation. We need to check it out. Looks like fun! 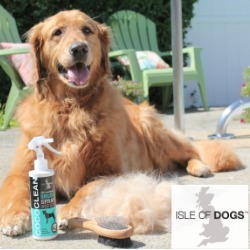 This looks like it's pretty simple, easy to clean, but really fun - dogs really do need to work for their food! 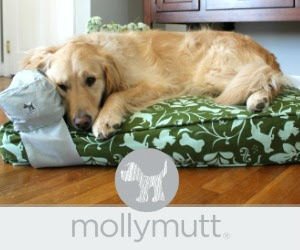 I can see this being really useful for dogs that get bored home alone, too. 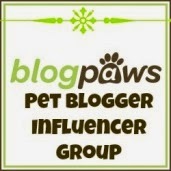 I'm happy that my human from Momma Daisy found your blog! Can't wait to follow along! Our dog is a fast eater! wow, that is an awsome bowl!!!! I will find out if it can be purchaced in the Netherlands!!! What a fantastic bowl! Our one Siberian Husky, Chloe, is indeed a chowhound. Has been since the day we brought her home! She currently has not one, but two portion control balls in her dish to slow her down. In a recent X-ray, the vet thought she had "material" in her belly, only to discover it was undigested chunks of food! This bowl would be a wonderful thing for her. Thanks for the great review, and for hosting the giveaway! Bella and Terra definitely are. Kronos is usually the slowest eater. You know my grand pop dog is and she'll eat within 2 seconds it's crazy sometimes, and I have 2 potbelly pigs and they would love this because we made a rooting rug for them but they need more engagement with toys and I would love for them to have this and I could put treats in it for them, how cute. My dogs have not found a puzzle toy that they do not love! Yup. They have interactive feeders, but it's great to switch it up with new challenges. Oh yes, definitely! This looks like a fun product. my dogs eat pretty fast. my middle child is a very fast eater, she is the foodie. she has a slow bowl now, i would love to try one of these for her. however, my 3 gals have never been very good with the puzzle toys with treats. Mine aren't so much chowhounds as could do with another mental stimulation toy. Thanks! My dog is a chowhound. He loves to gobble up his food. I definitely have a chowhound, I will put the cup back in the bag & she has already finished eating! I'm just amazed at how fast she can eat sometimes. This is very interesting! 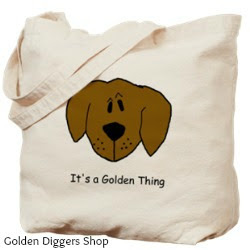 I love when pet lovers create amazing products like this to help our fur babies in so many ways. Our dog is a pretty slow eater,but my brother's dogs are definitely chow hounds when it comes to eating! Bean is a grazer...Yoda is an absolute chow hound! We timed him once, he ate in less than 1 minute (eep!). This would be great to have to help slow him down! My dog DayZ only eats once a day. I leave food on the ground and she will eat it when she is ready. No less...no more. Oh yes! Every time I put food in the bowl, he scarfs it down! !